Place all ingredients in a temp-tations mixing bowl. Scoop into the center of a large piece of plastic wrap. Fold over one side of the plastic wrap and roll mixture into a log. Roll up the rest of the plastic around the log and refrigerate for at least one hour to firm up. 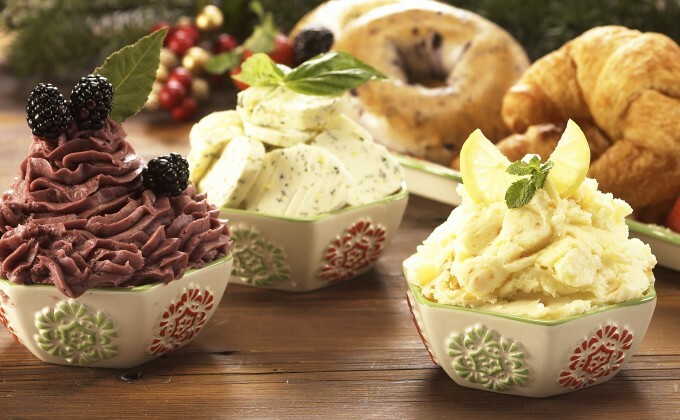 Slice into 1/4-inch rounds and place in your temp-tations decorative bowl. Serve with your favorite breakfasts breads and pastries.